The Lakers' recent re-design was a bit unexpected for me, and I'm rather conflicted with what was unveiled. With Magic playing a prominent front office role and LeBron coming to town, a modernized version of the Showtime-era uniforms makes perfect sense. However, a number of details feel a bit overthought. Let's start with the good. The crewneck collars are a long-awaited change, the lack of side panels on the Association and Icon Edition jerseys eliminates a bit of clutter, and the vertical drop shadows offer a cleaner take on the previously angled design. The gold looks better than last year's mysterious shade of banana yellow, and unifying the colors of the wordmark and numerals on each jersey helps give this set its own identity without straying far from the team's historical identity. To improve this set, I think only two significant changes are necessary: 1) make the trim a double stripe pattern, eliminating the uniform's base color; and 2) make the Statement Edition uniform consistent with the design of the Association and Icon Edition uniforms. The double stripe trim pattern creates cleaner borders, especially once the colors are flipped to reduce the muddling that occurs when white and gold touch. This color distribution also allows for the trim to border the side panels on the shorts without causing conflict. The consistent Statement Edition uniform simply preserves the Lakers' identity while adding a bit of flair for the LeBron era. To complete this set, I also designed a City Edition uniform. This one is far more out there than the other three uniforms, but personally that's what I prefer City Edition uniforms to be -- fun, unique, full of character, at least noticeably different from the rest of the team's uniforms. They aren't the Kobe-inspired City Edition uniforms from last season, but they still incorporate animal print. Specifically, the influence comes from the obscure giraffe logo of unknown origins adopted by the team for a brief moment in the early '60s. It was recently discussed on the Sports Logos board here, and I found a very thorough write-up on Reddit that can be found here. 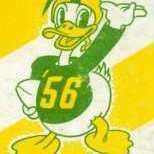 Basically, this logo appeared on a few merchandised items in the early '60s, while a text-less version appeared on a number of Fleer basketball cards. There doesn't seem to be a definitive origin or history of the logo, but it's weird and it's fun and I figured I may as well try to create a uniform based on it. So, we have the classic 'Los Angeles' script - arched - along with giraffe-print side panels, stars, and black and pink accents. 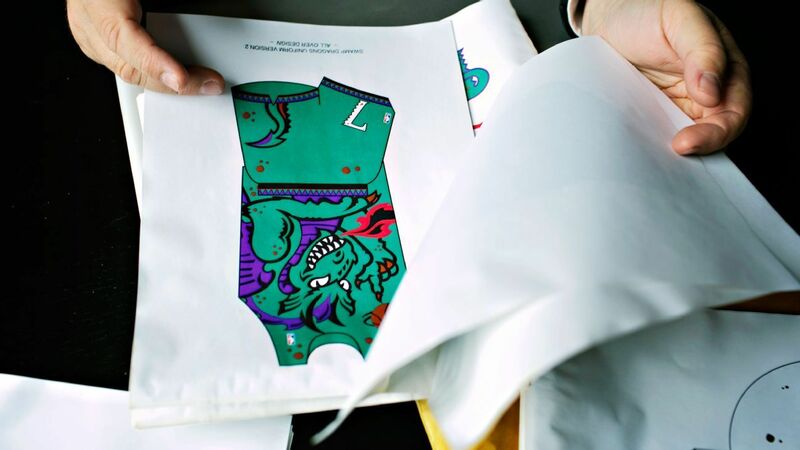 The giraffe-print side panels are also a subtle way to incorporate another mysterious element of the Lakers' historical identity, that of the aforementioned multiple shades of gold. Anyways, it's weird and obscure, but hopefully fun and unique. Thank you for taking the time to read my analysis and explanations -- any and all comments and criticisms are greatly appreciated! I would buy ALL the giraffe merchandise from your concept. Thank you for dropping the black! Awesome concept! 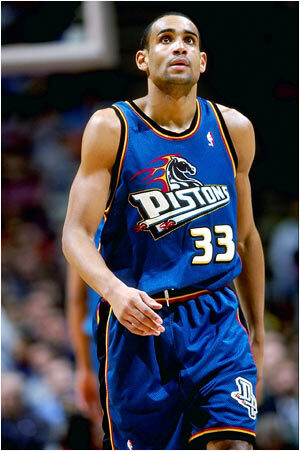 With the exception of the giraffe uniform, this is exactly what the Lakers and Nike (especially Nike) should've done. As for the giraffe uniform, that is super, duper great. The modified interlocking LA won't be a big deal to put in a Lakers alternate uniform, since Magic Johnson is a part of the Dodgers ownership group. Thanks a lot! I really like your term "modern throwback" -- that perfectly captures what I was hoping to achieve! I appreciate the kind words! Good connection re: Magic being a part-owner of the Dodgers -- I hadn't thought of that. I wanted to add something identifiably "Lakers" to the shorts since the design and color palette weren't exactly on-brand....a full "LAKERS" block script from the Giraffe logo didn't fit, so it was ultimately reduced to the interlocking "LA" block script. Favourite Logos:Boston Celtics, New England Patriots, Boston Bruins, Boston Red Sox, Portland Trailblazers, San Jose Sharks, Toronto Maple Leafs, Seattle Supersonics, 90s Minnesota Timberwolves. Though I despise this team with every single atom of my being, you amaze with your designs! Favourite Logos:Yankees, Patriots(Current and throwback), and Redskins. Ha! I appreciate that -- I'm hoping to finish and share my Boston Celtics concepts soon, so stay tuned! 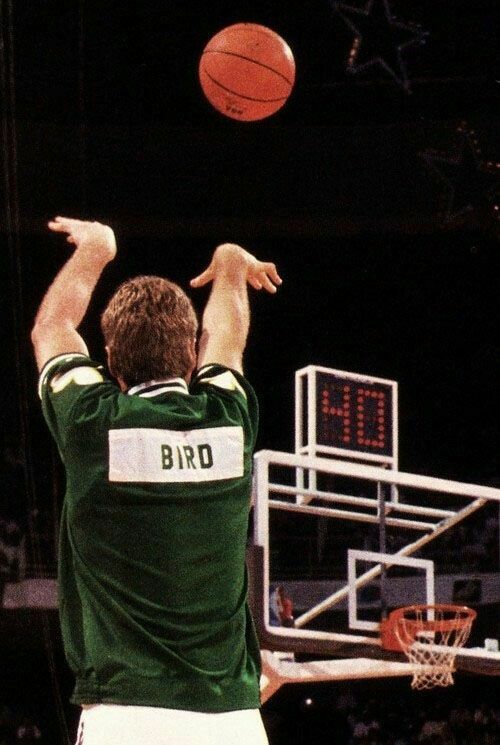 Next up are the Boston Celtics. Their white and green uniforms have remained remarkably similar over the past 70+ seasons, and there's no need to change anything; if it's not broken, don't fix it. Their Association and Icon Edition uniforms remain the same here. Their Statement Edition uniform ties together a number of loose ends from their 2017/18 Statement and City Edition uniforms. I've been vehemently against the Celtics incorporating black into their color palette -- the mid-2000s alternate uniforms were mediocre and off-brand, and the side panels from last season's Statement Edition uniforms look cheap and lazy. 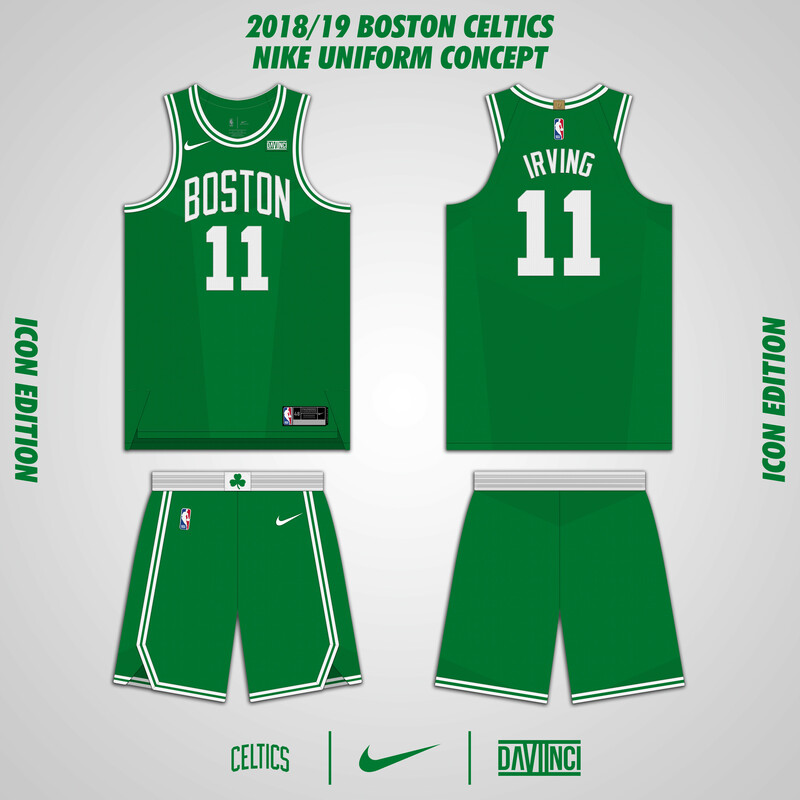 The trim and color balance from last season's Statement Edition uniforms work, though, so those elements along with the 'CELTICS' wordmark have been retained. Last season's City Edition uniforms were one of my favorites in the League, so the general design of that uniform has been retained as well. 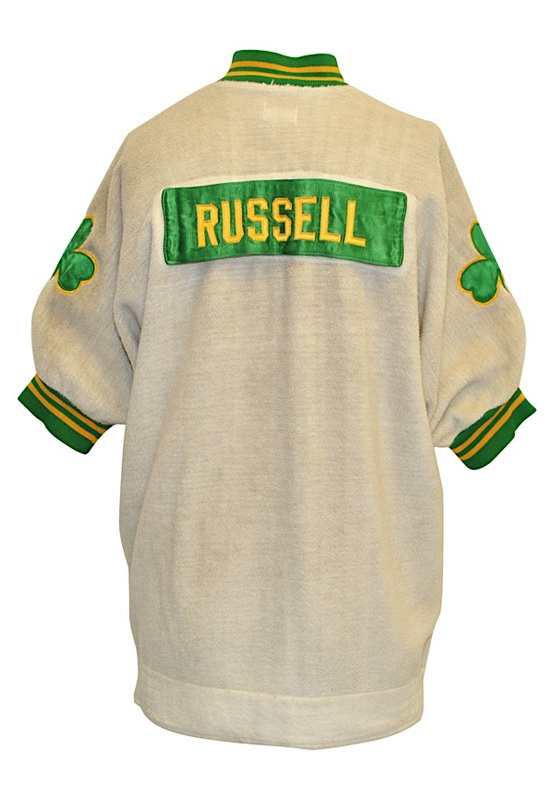 I know a lot of people on here want the Big 3-era gold-accented St. Patrick's Day alternates back, but I'm not a fan of bringing back good-but-not-great looks from recent history. 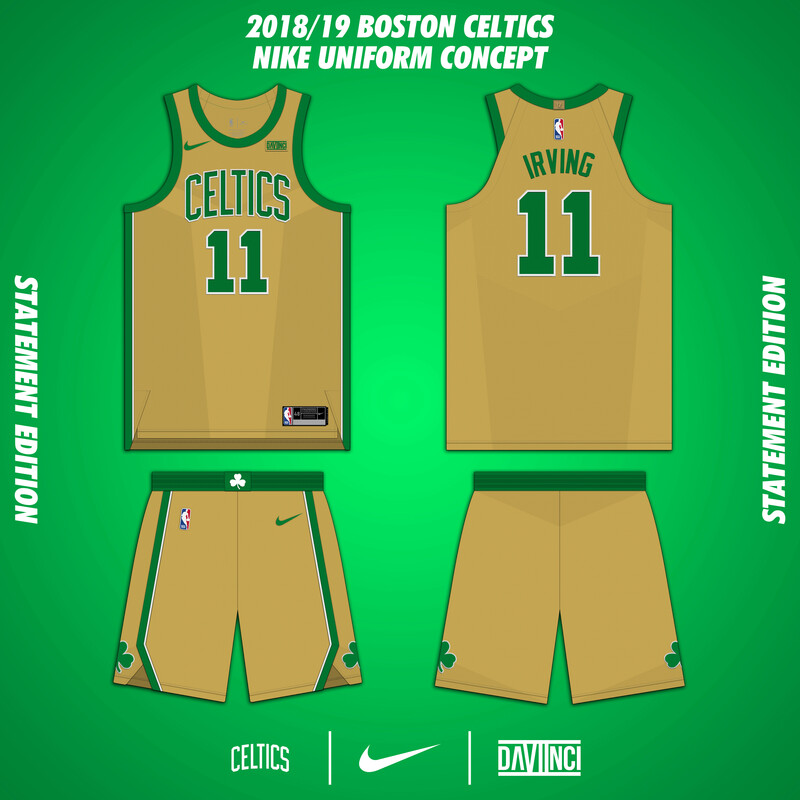 We'll go with the gold theme, though, applying it to last season's City Edition uniform design with the 'CELTICS' wordmark from last season's Statement Edition uniform. This creates a clean third look that is unique from the Association and Icon Edition uniforms without any gimmicks. Specifically, I chose the white version because the color contrast on the nameplate looks better on it than it does on the green version. (Sidenote: the nameplate design here reminds me a lot of Oregon's new football uniforms, which I've been using as influence for a different concept I'll hopefully get around to sharing on here eventually once it's presentable.) 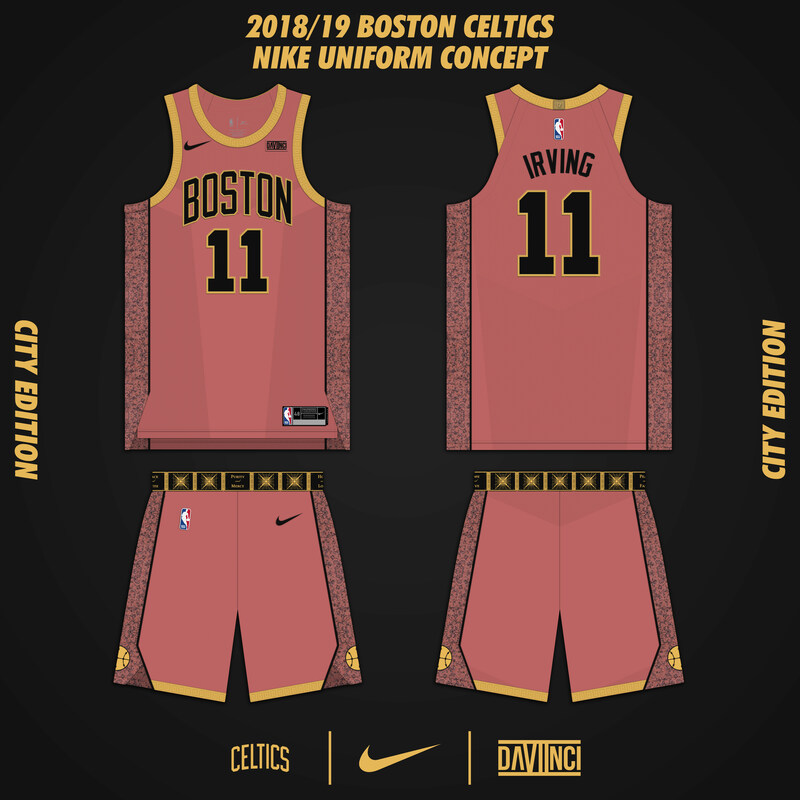 The trim was simplified to the current pattern mostly because the triple stripe pattern reminds me of Adidas, and the wordmark was switched from 'CELTICS' to 'BOSTON' because that only makes sense for the City Edition uniform. It's nothing revolutionary, but hopefully a couple uniforms that are new and fun and unique. Thanks for looking -- any and all comments and criticisms are greatly appreciated! I really like the icon and association but I have to say that I absolutely love the statement and city!! 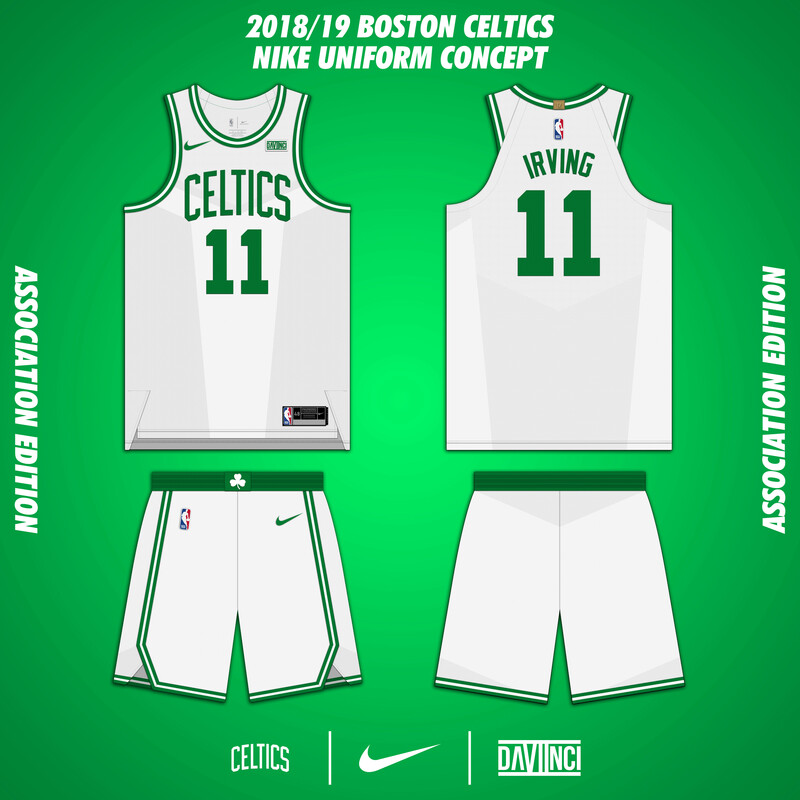 This is exactly what Boston should've done if you ask me, and the statement especially makes me smile from ear to ear Gorgeous concepts that still keeps the tradition of the Celtics. I honestly hope they leave the city and statment mishaps in the past and get with your concept! 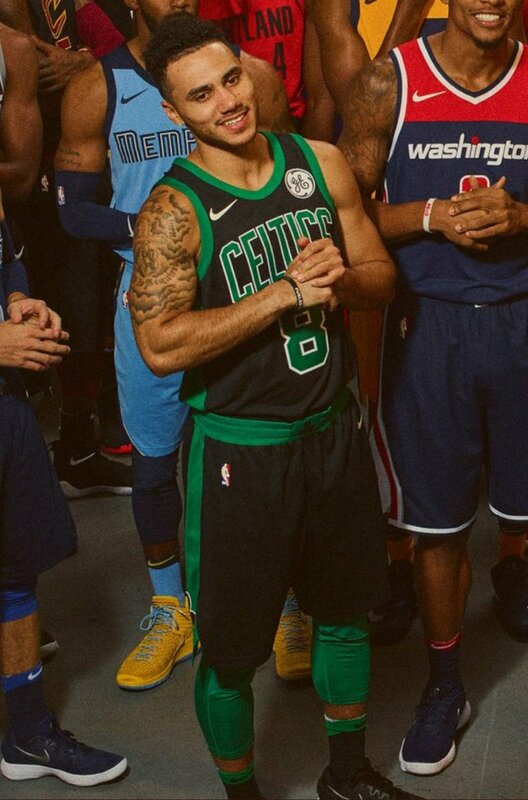 Love that you have included shamrocks on both alternates, it's a really nice touch that just compliments and enhances the whole feel of the uniforms. Amazing work once again!! 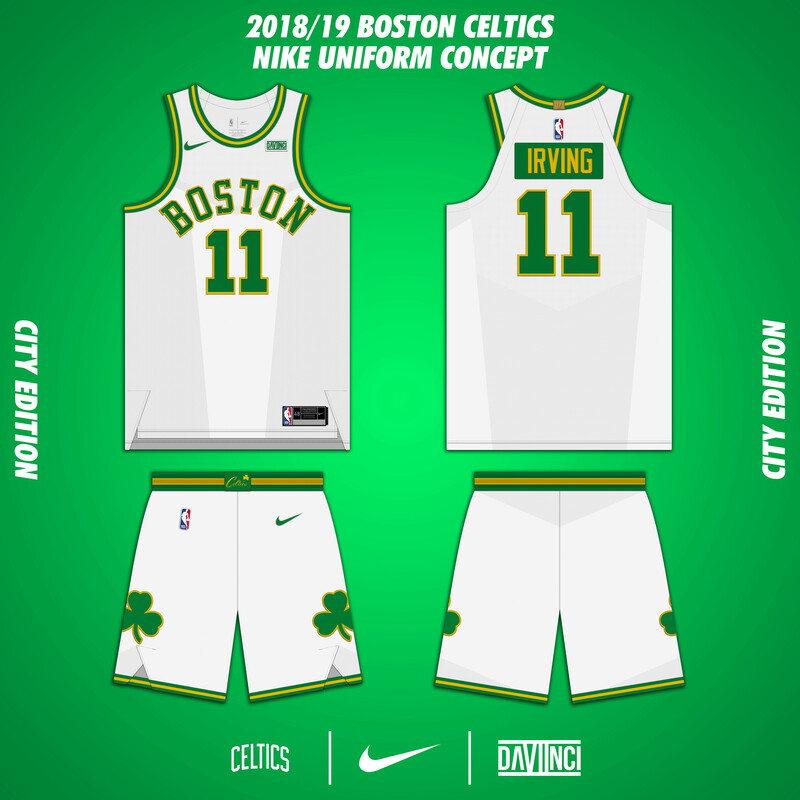 Here's the alternative idea for the Celtics' City Edition uniform I mentioned in my previous post. It's based on the Mary Baker Eddy Library -- a historical landmark most known for the Mapparium. I didn't know anything about the library or the Mapparium or Mary Baker Eddy prior to visiting recently, but it's a fascinating place with some incredible architecture that served as my main inspiration for this uniform. I kind of like how some City Edition uniforms don't necessarily have anything to do with basketball, and with Kyrie's flat eath conspiracy theories Jaylen Brown giving lectures at Harvard something vaguely academic-related felt right. This base color is pink-ish, with granite-print side panels similar to the Wizards' City Edition uniforms from last year, as much of the inside of the structure is made of ornate granite columns and such. The archways are adorned with the gold-lit rectangular patterns used in the trim, and corridor ceilings are decorated with the repeating pattern found around the waistband (in a raised texture-ish way similar to the Cavaliers' City Edition uniforms from last year). The inscriptions on the center, left, and right of the waistband are engravings found on the front, left, and right sides of the building. Anyways, I know this is a super obscure concept, but hopefully it's outside the box in a way that's coherent and interesting. I actually like this better. The original city concept just looks like another alternate uniform, while this is based off of an actual city landmark. I think you're exactly right, and that's going to be my barometer for City Edition uniforms going forward -- if it could be another alternate uniform, it's not it. I appreciate the input! Here's an updated and/or finalized version of the Celtics' City Edition uniform. The original waistband design was over-engineered and way too busy, so the engravings and repeating patterns were removed in favor of a single ceiling tile design as the belt buckle logo. I think this makes for a cleaner transition from jersey to shorts, plus it balances the colors a bit better. Also, the goofy looking basketball logos I totally forgot to explain in my previous post have been removed (sidenote: they were originally designed as a basketball-themed reference to the two large, ornate chandeliers on either end of the building lobby, but I think the execution fell way short of the idea). Hopefully this creates a more concise and refined City Edition uniform that captures key elements of the landmark while remaining presentable on-court. lakers 10/10: this is what they should have done in the first place. The black panel on the purple is atrocious. It was a bad fashion statement. The city edition is pretty fun despite the Lakers not using the Giraffe logo in quite sometime. Celtics 9/10: Association and Icon jerseys are timeless. Not sure if I'm feeling the statement jerseys. I get why you would incorporate the gold to the jerseys though. City jerseys remind me of a combo between the Celtics and the Sonics. Looks great though. Hopefully we can see the Bucks next? Not a big fan of the Celtics new city, imo that throwbacks perfectly suits Boston and I love it, this new marble one, while in theory, the color isn’t ugly and doesn’t suit the Celtics. The lakers are perfect! I love the giraffe pattern. Love love love it! Keep it up! Any idea who were seein next? Maybe another classic team? I still can't get over the Lakers putting those black side panels on their Purple Statement Edition uniforms....maybe they'll grow on me once I see them on-court a few times, but I won't hold my breath. 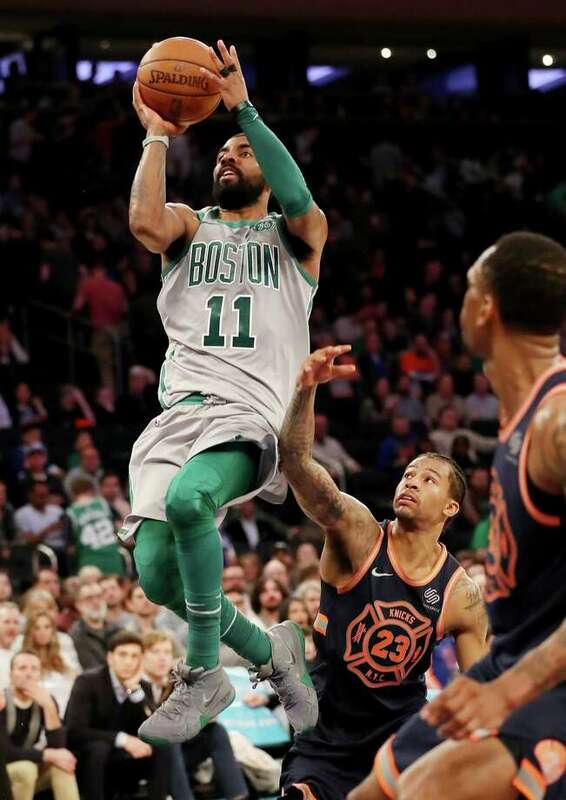 As for the Celtics Statement Edition uniforms, I'm very interested in your thoughts on the color and/or direction. I go back and forth on the gold myself, but like you said it's more of a logical fit more than anything else. Teams with only two colors make designing Statement Edition uniforms a bit more challenging than I realized! I have file with notes and ideas for each team and a handful of random visuals completed, but unfortunately I haven't made much progress on the Bucks. I haven't finalized the color palette for their Association, Icon, and Statement Edition uniforms yet, and I'm not too far along in the design process with the exception of their City Edition uniforms. Stay tuned, though! Thanks a lot! 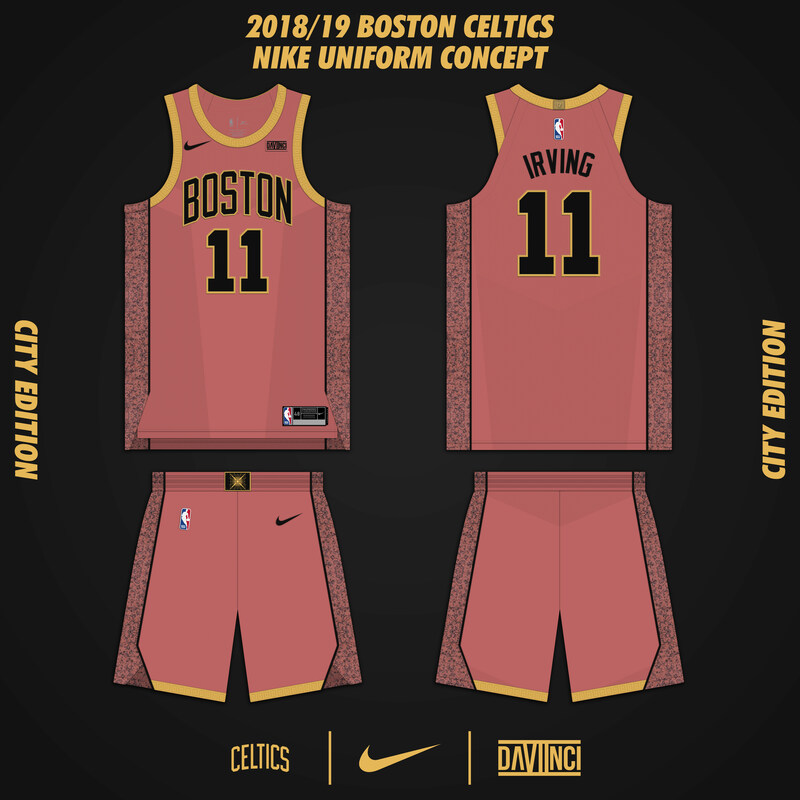 I'm happy to hear you at least like one of the Celtics' City Edition uniforms! The two version probably couldn't be more different from one another, and I think that represents my own indecisiveness when it comes to what I want the spirit of my City Edition uniform designs to be -- specific to the team or the city. If I had more time I'd do one each way for all 30 teams! Next will hopefully be another classic team....I have a number of wrinkles still to iron out, but if all goes well there's one uniform I'm particularly excited to share! Not sure if I'm too late on the Celtics here, but I really like that throwback-inspired City Edition you did first. I like the Mary Baker Eddy one in principle, but it doesn't really read as a Celtics jersey or a Boston jersey to me. I'm not sure what a Boston jersey would look like, since Boston has a lot going on, but it just doesn't seem like a good fit to me. Thanks for the input! I don't disagree with you at all -- I think the first version is much more practical than the second. The Celtics are a unique case where their identity is so classic, consistent, and narrow that a completely new and unique fourth uniform was a fun challenge, though! I've been working with the San Antonio Spurs on and off for a while now, but I don't have much in terms of a full set to share. However, I do have a preliminary draft of a Fiesta-themed uniform done, and since that's probably the only uniform of theirs the majority of people will care about I figured I'd share it now. I usually prefer to share designs only when I feel they're completely finished, but this one is an exception -- I've gone back and forth with a lot of the elements, and I'm not 100% sold on it as-is, but I'm at a stopping point for now and am looking forward to any and all feedback! Fiesta-themed uniforms always seem much better in theory than they do in execution. The colors are vibrant and the theme is nostalgic, but I feel like a lot of Fiesta concepts I've seen somehow end up looking a bit dull and uninspired. To avoid this, I outlawed black as the base color of the uniform. The Spurs' identity is perfectly crisp with black, white, and silver, but it can look a bit sterile around the Fiesta palette. I retained these colors as accents, but appealed to thee color of choice in the lawless wasteland that was '90s NBA uniform design: teal. 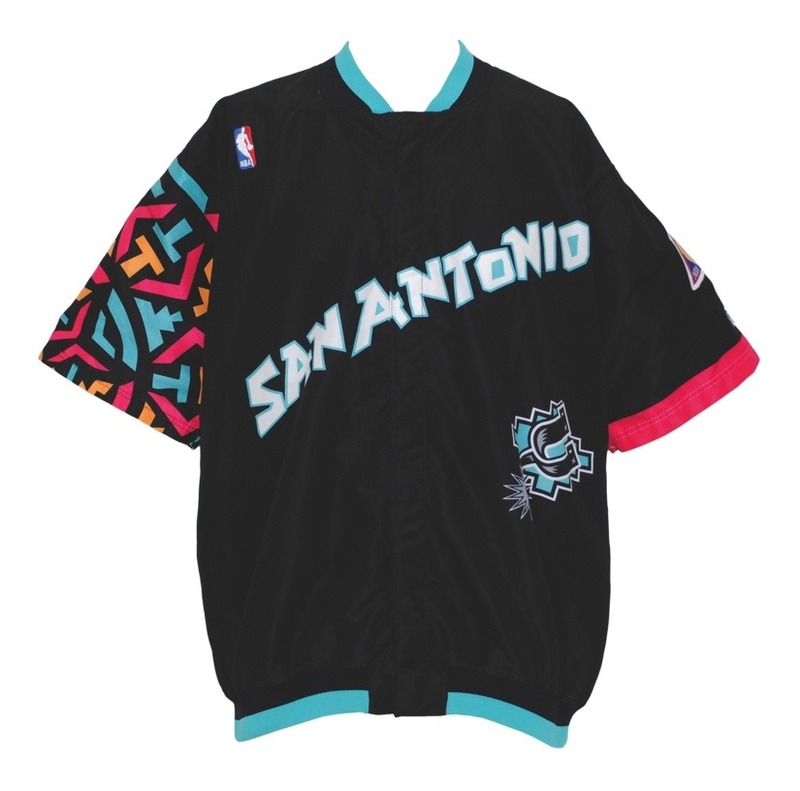 This presented other issues, as the Spurs' lack of a teal uniform at any point in their history forced me to consciously avoid creating something that looked too much like the Charlotte Hornets, Vancouver Grizzlies, or Detroit Pistons. Hell, I even tried to avoid the legendarily non-existent New Jersey Swamp Dragons. My main inspiration came from the Eastern Conference uniforms at the 1996 NBA All-Star Game -- which was coincidentally hosted in San Antonio. This helped with color distribution. The Fiesta palette is a bit overwhelming, so it was useful to see how it can be balanced. I also took inspiration from the 2018 Men's NCAA Final Four logo - an event that was also coincidentally hosted in San Antonio - and the Nike N7 Native American Heritage uniforms (sidenote: the leaked OKC Thunder City Edition uniforms remind me a lot of these). These helped with applying the Fiesta theme and retaining a team's identity despite an unexpected color palette, respectively. I think the biggest downfall of most Fiesta concepts lies within the application of the Fiesta theme - or lack thereof. Simply including the colors is a start, but incorporating the pattern/design is just as crucial. By using the pattern/design for trim as well as on the side panel, highly saturated colors never touch and the palette can cover a larger area. Just as too much black, silver, and white can dull the Fiesta palette, too much Fiesta palette can also be a bad thing. That plus conventional '90s wisdom is also the reasoning behind the asymmetrical side panels. I felt the need to keep the black, silver, and white together on the wordmark, numerals, trim, and shorts logo to subtly help reinforce the Spurs' identity. For the wordmark, I wanted to use something a bit different and with an upward slant -- the only two Fiesta-themed tops (first; second) worn by the team (to my knowledge) had unique typefaces with an upward slant. So, I to the goofy lettering from the 1996 NBA All-Star Game logo (and the second Fiesta-themed top, if I'm not mistaken) and cleaned it up quite a bit while still preserving some of its unique characteristics. I did the same for the numerals. The belt buckle logo is the team's unused one recently revived by @Conrad. (go check out his full Fiesta concept if you somehow haven't seen it yet -- it's INCREDIBLE!). 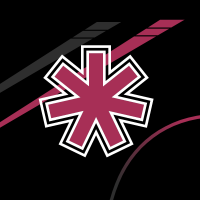 The shorts logo is a modernized version of the teams' old alternate logo that appeared on the latter of the two Fiesta-themed tops. Anyways, this is where we're at right now. It's at least a little different from most other Fiesta concepts I've seen; however, I'm still skeptical about a handful of details -- mostly the balance between trim and the side panels, whether or not the belt buckle and shorts logos work, and how overall Spurs-y it feels. Any and all comments, criticisms, thoughts, and ideas are greatly appreciated! 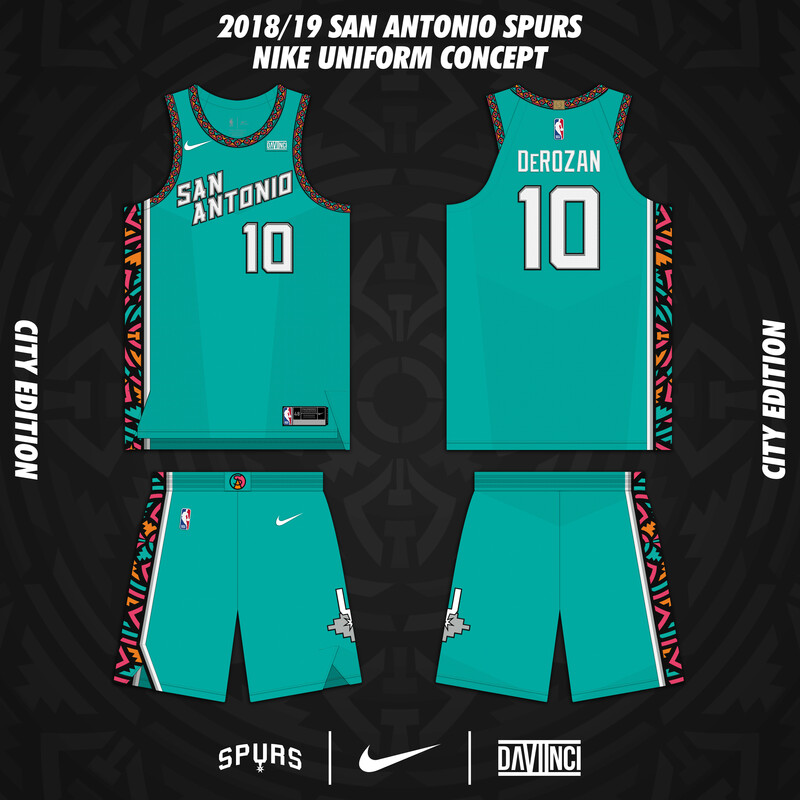 I'll hopefully post an updated version of this City Edition uniform along with the Spurs' Association, Icon, and Statement Edition uniforms once they're completed.